The trial of Noah Gaston began Monday but has been interrupted by an unexplained legal issue. A Cumberland County murder trial was delayed for second day Wednesday and the reason for the interruption should be revealed in court Thursday. Noah Gaston, 36, is charged with murder and manslaughter for fatally shooting his wife three years ago. Alicia Gaston, 34, died from a single shot from a shotgun in the stairwell of their family’s Windham home. Noah Gaston admitted shooting his wife but said he thought she was an intruder when he fired on Jan. 14, 2016. Prosecutors have argued that he intended to kill her. The trial began Monday with opening arguments and emotional testimony, but the judge unexpectedly paused the trial Tuesday after a closed-door conference with attorneys. The courthouse was closed Wednesday morning due to the snowstorm, but the jury did not reconvene when it opened at noon. The parties will be back in open court for arguments Thursday at 10 a.m., according to the clerk’s office at the Cumberland County Courthouse. The reason for the delay has not been made public. Superior Court Justice Michaela Murphy sealed any related motions or documents, and neither side has said more about the issue that has caused the change in schedule. It is not clear when witness testimony will resume in front of the jury. Thea Johnson, an associate professor at the University of Maine School of Law, said a delay like this one might be related to evidence or upcoming witness testimony. For example, the lawyers might need extra time to collect case law that supports their arguments about disputed evidence. While major evidentiary questions usually are answered before trial begins, it is possible for an unforeseen issue to arise. The jury, including four alternates, is made up of eight women and eight men. The court does not publish a schedule of witnesses during the trial. The first day of testimony was an emotional one. Gaston wept during opening statements and when a recording of the 911 call he made the morning he shot his wife was played. Most of the witnesses called were police officers and paramedics who responded to the house on Brookhaven Drive. They answered questions about lighting inside and outside the house, as well as Gaston’s initial statements and demeanor. 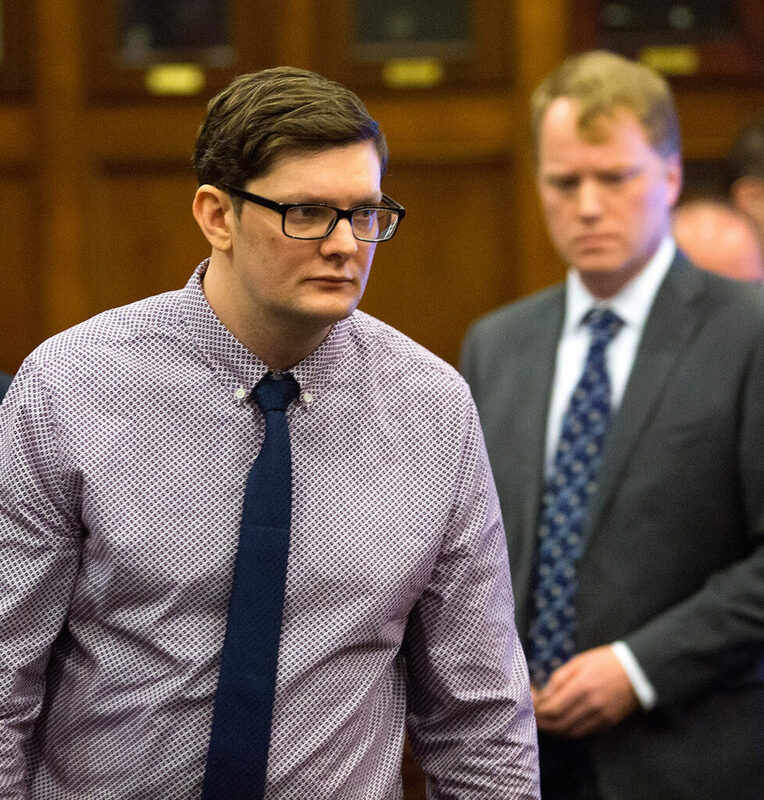 “When he entered the room, he had no emotion on his face, just a blank look,” Hudnor said.